Award-winning gospel star Eko Dydda has come out to dismiss reports that there is trouble in paradise. The rumor mill had it that the rapper kicked out his wife and sons following a domestic quarrel. According to a report on Robert Alai’s blog, a friend of the family who sought anonymity said the gospel singer is not the man he pretends to be. It is alleged that the rapper’s marriage has been rocked with numerous infidelity issues. Eko Dydda is also said to have moved in with a new woman. The source further claimed that Dydda’s philandering ways have made it impossible for his wife to have a house-help to help with the children. His wife is said to have packed her belongings and moved in with a family member in Jericho estate. But according to Eko Dydda, he is shocked by the reports and maintains that he is happy with his wife, Cynthia Ayugi alias Galia. “There is nothing like that. Personally, I am hearing for the first time just as you are. You know me and the values I hold on family. My sons and wife are very dear to me. Those stories are negative energies that I have no time for and hold no substance. Did Jesus ever kick anyone out? I live a life of positivity,” says Eko. 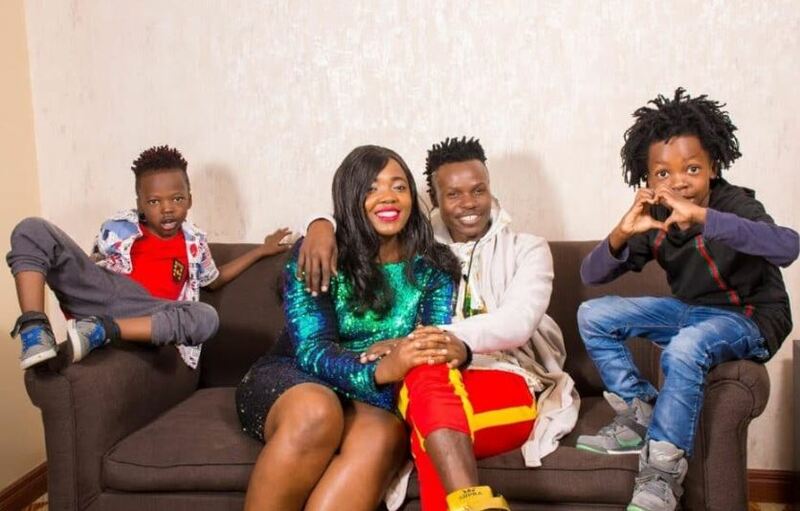 The ‘Yesu ni Mimi na Wewe’ hitmaker adds that his sons – Amblessed and Keepitreal – are doing well and will be representing Kenya in the Under-9 Championships in Qatar. “My sons and wife are not homeless, they are happily living with me. Keepitreal even won a medal a few days ago playing football and he is heading to Qatar with his six-year-old brother to represent Kenya in the Under 9 category,” says Eko Dydda.